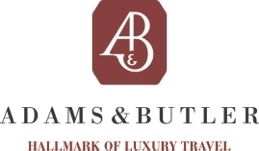 Adams & Butler are different. We create unique authentic experiences for your clients offering an entirely new type of tailor-made product using the finest castle hotels, private stately mansions and country guesthouses. We can arrange private visits and privileged access to leading experts and the aristocracy, many of whom work for us as driver guides. We are a one-stop shop for Britain & Ireland with itineraries for both individuals and groups on varied themes such as Gourmet, Glitz & Glamour, Gardens, Whiskey, Castles, Art, Titanic, Gay, Jewish, Motor-biking Ghosts, Follies, Round Towers, Golf, Biking, Walking & Equestrian etc.. We also have access to a variety of properties and castles available for exclusive rental. We are a Virtuoso & Ensemble ground handler and have been in business since 2002. Our main clients are from the United States, Brazil, Mexico, Canada, Argentina, Russia, Australia and other Latin American countries. We have native Brazilian Portuguese, French, Spanish and speakers in the office. We work with the top agencies and tour operators worldwide and looked after many celebrities, politicians and presidents of the top companies in the world. We can also design itineraries based on affordable luxury.